Threats to global businesses come hard and fast, often without indicators. Protecting your business has never been more important. Security teams can no longer remain static in the face of highly destructive attacks. 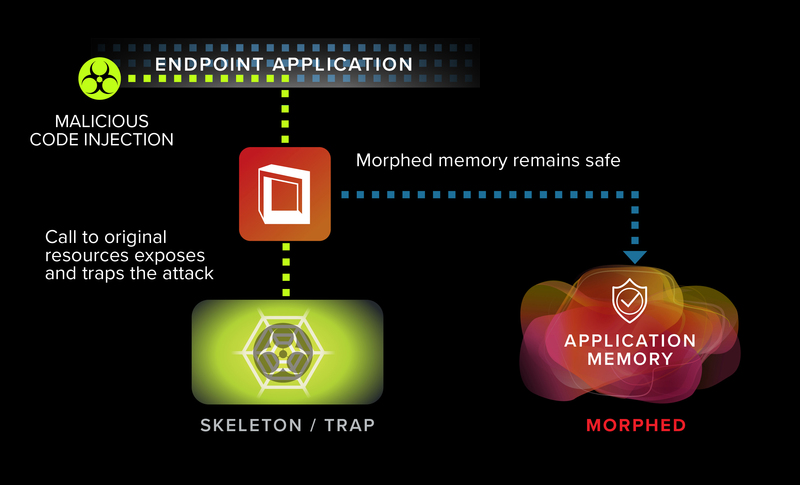 It’s time to rethink your cyber security approach with Moving Target Defense from Morphisec. A single successful attack on one virtual endpoint puts your entire VDI environment in danger. Morphisec keeps your organization secure against the threats that pose the most danger. It prevents all zero-days, advanced memory-based threats, malicious documents and browser-based attacks instantaneously, no detection, no hunting. 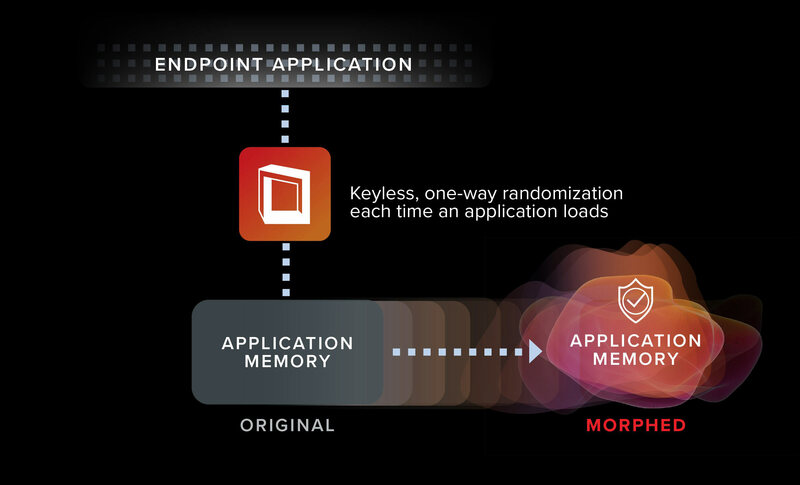 Morphisec shrinks prevention time of unknown attacks to zero without alerts to investigate, analyze or remediate. Security teams reduce operational costs while slashing organizational risk. Morphisec reduces your IT complexity as it cuts security risk. It installs quickly, requires no management or monitoring and has zero performance impact. Moving Target Defense prevents exploitation of unpatched vulnerabilities so IT teams can patch to their schedule. It functions across virtual, physical or hybrid IT environments, no internet connection required. Morphisec takes a wholly innovative approach to threat prevention. Other solutions use various detection technologies to first identify, then stop an attack. This leaves enterprises exposed to unknown attacks or those that leave no indicators. Morphisec first stops, then identifies the attack. 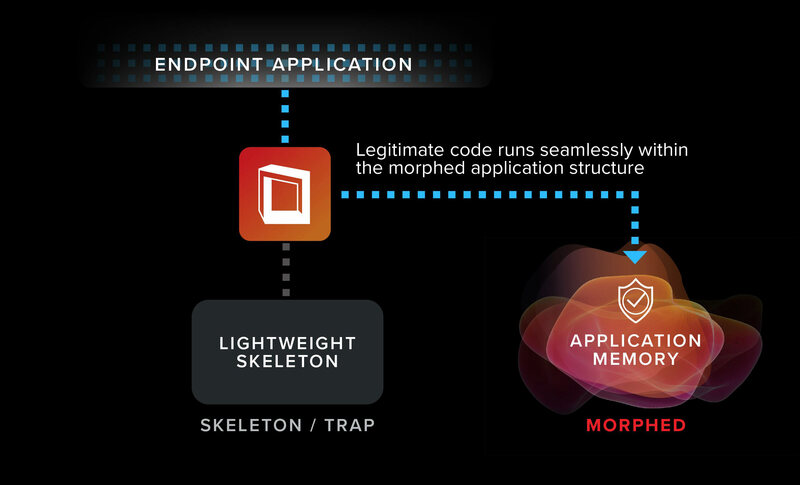 Patented Moving Target Defense technology morphs the memory space – the main target of advanced attacks. This dismantles the attack delivery mechanisms and killchain, preventing threats instantaneously and unconditionally.